1. Chickens succumb to Hypnosis! Holding a chicken’s head against the ground and drawing a line in the dirt with a stick, starting at the beak and moving away from the chicken will freeze the bird for 15-30 seconds! 2. 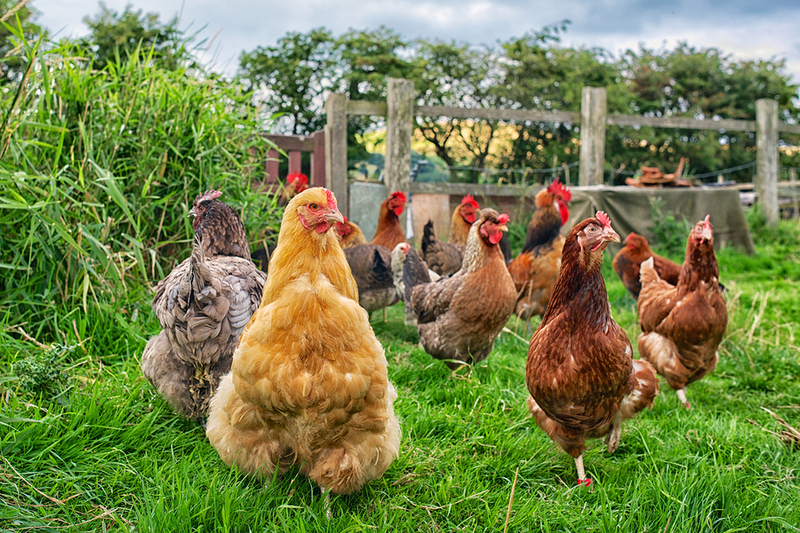 Your backyard chicken is the closest living relative to the great Tyrannosaurus-Rex! Scientists believe chickens were domesticated about 8000 years ago, and have evolved from jungle fowl! 3. A mother hen turns her eggs about 50 times a day. 4. 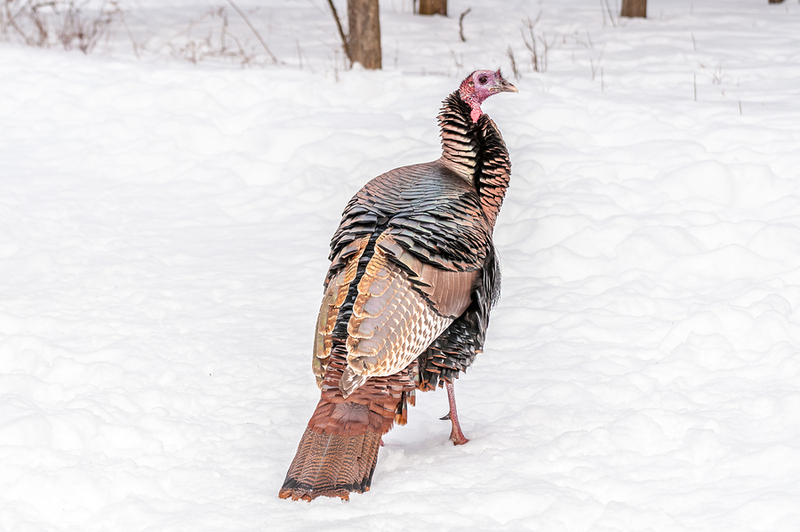 When excited, a male turkey’s head turns blue, when ready to fight it turns red. 5. Chickens have full-colour vision, just like we do. 6.Geese have a Glossary of titles. The term “Goose” is the term for female geese while male geese are called ganders. A group of geese flocking on water or land is called a gaggle, but if they are flying, they are called a skein. 7. You can’t sneak up on a duck. Besides having 340-degree vision, it’s a fact some ducks can sleep with one eye open and vigilant. Half of their brain stays alert, while the other half catches some much needed Zs. 8. The dance of a mating rooster is called “tidbitting” and is more successful depending on the size of his wattle. 9. Chickens can navigate using the sun! 10. The fear of chickens is called Alektorophobia. 11. A freshly laid egg will temp at 105 degrees F.
12. Chickens have more bones in their necks than giraffes! 13. Turkeys are the dogs of the poultry world! Turkeys are intelligent, sensitive, and highly social! That’s right! Tom and his hens will create lasting, affectionate bonds with each other, much like you and Fido. 14. A female chicken can choose which Roo will father her babies! A hen will mate with many different males but if she decides, after the deed is done, that she doesn’t want a particular rooster’s offspring and can eject his sperm. This occurs most often when the male is lower in the pecking order. 15. Chickens don’t urinate; they excrete all their waste in one movement! 16. 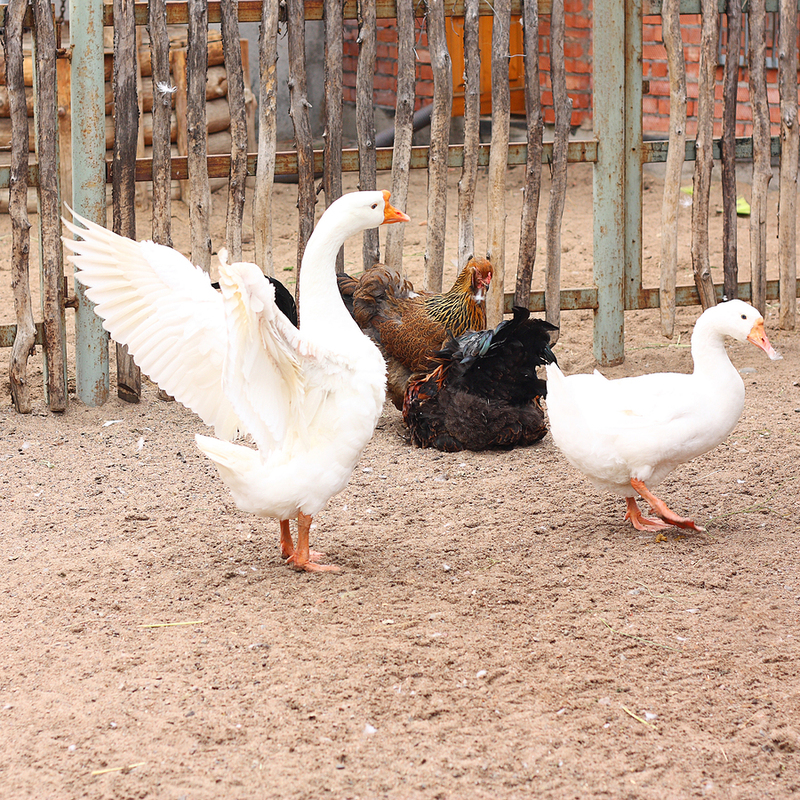 Science shows that all domestic ducks are descended from either the Mallard or the Muscovy. 17. Wild turkeys can fly at up to 55 mph for short distances! 18. The record number of yolks in an egg is nine! 19. When eating, Chickens slurp grass like spaghetti. Hold the meatballs, please! 20. Ducks are Weatherproof! A duck’s webbed feet have no nerves or blood vessels so cold cannot be detected through them. Adding to the weather-resistant properties, the oils and weave of a duck’s feathers are so waterproof that the feathers right next to the skin will stay completely dry even while diving in deep bodies of water. 21. Individual turkeys have unique voices. This is how turkeys recognize each other. 22. Surpassing some toddler’s abilities, chickens can understand object permanence. This is the concept that when an object is taken away and hidden from them, it still exists. 23. 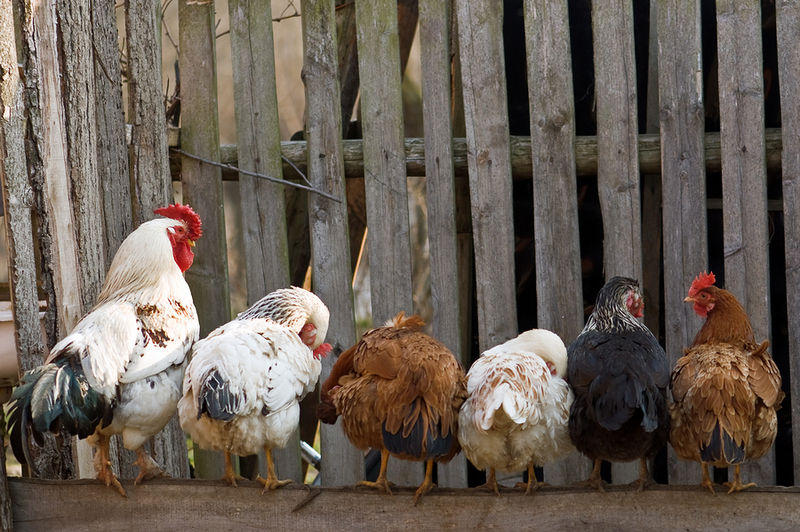 Chickens can remember and recognize over 100 individuals, including humans. 24. The waste made by a chicken in its lifetime can make enough electricity to run a 100-watt bulb for five hours! Imagine how long your LEDs would run! 25. Geese prefer intake of fertilized grass in their food rather than unfertilized. Golf courses, playgrounds, and well-preserved lawns are prime feasting for the entire gaggle! ← BANTAMS: They’re Fun Sized!